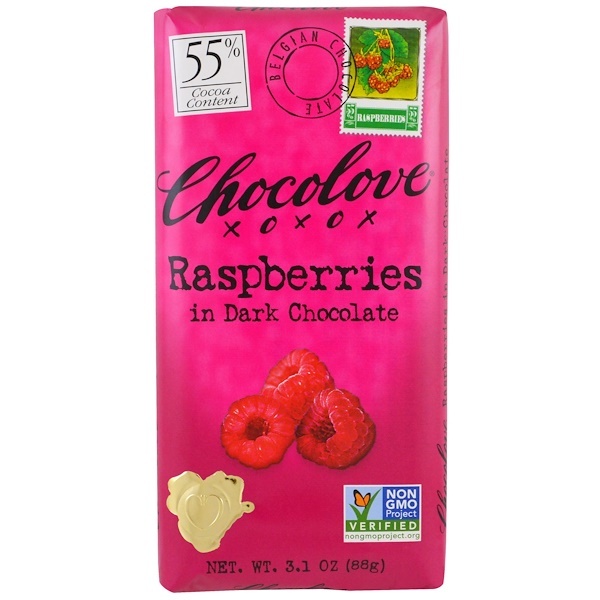 Freeze-dried raspberry pieces in Belgian dark chocolate crafted from African cocoa beans. Smooth semisweet dark chocolate melts in your mouth while the crispy bits of tart raspberries burst with flavor. 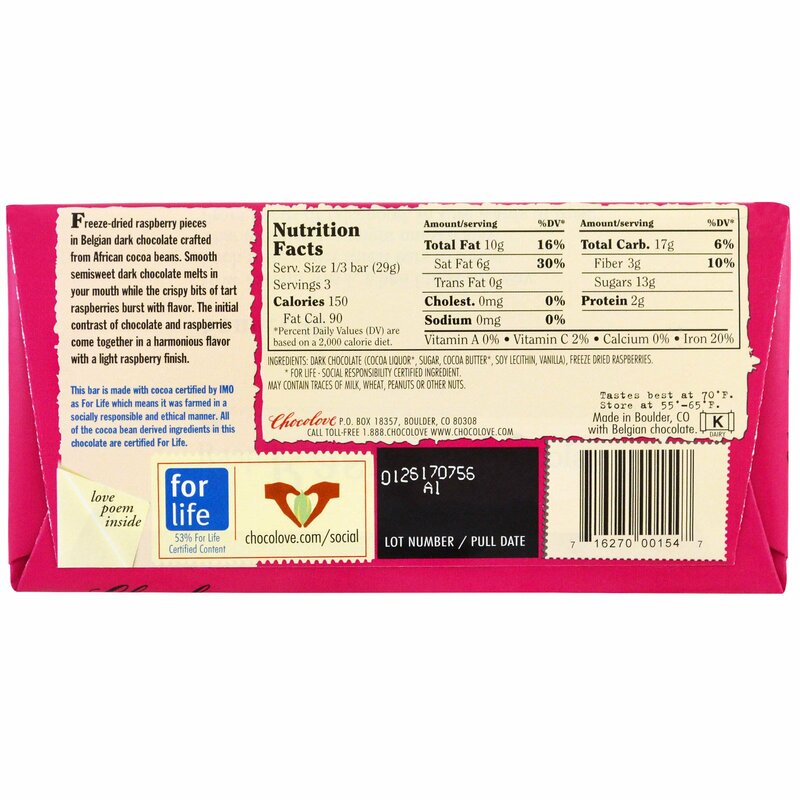 The initial contrast of chocolate and raspberries come together in a harmonious flavor with a light raspberry finish.